It's no secret that I'm a major fan of green smoothies. Sometimes I feel silly talking about this; then I remember that there are websites dedicated to green smoothie making! 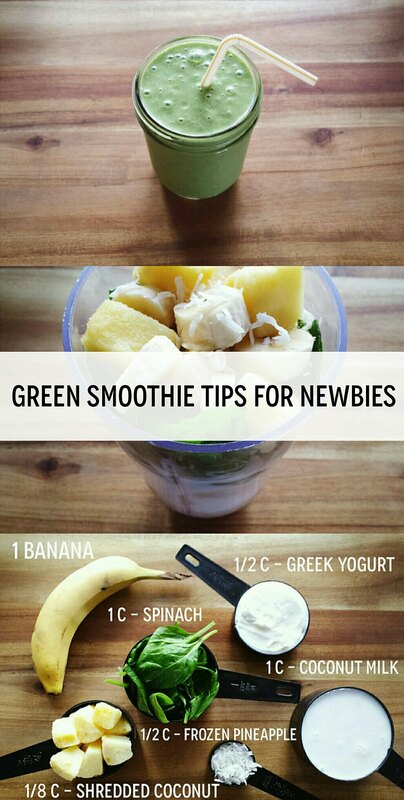 Simple Green Smoothies is my favorite green smoothie site. If I have a green smoothie question, I go there for answers. (I read through their post before I bought my new blender. I went with this NutriBullet). If you're on the fence about making yourself green smoothies, I'm here to invite you to this side of the fence. If you're already on this side of the fence- high five! and please share your favorite green smoothie recipe in the comments! But for those of you, who are still on the fence, I have some tips! This is the obvious reason to have a green smoothie. I like a good, green salad and other vegetables most of the time, but sometimes I'm not in the mood for them. A green smoothie helps me get my daily, vegetable servings without fighting with my vegetables. I know. I know. This is where you need the most convincing. This is where most people need convincing. "If I don't want to eat the salad, why would I want to drink it?" may be what you're thinking. Maybe you've noticed, though, that some greens don't really have a taste or a mild taste- spinach and kale (without the red stem) are good examples. Some greens definitely do (I think so anyway) like romaine lettuce and wheatgrass. I, for one, do not want to taste something "too green." I aim at drowning that taste as much as possible. I've had my brother, my sister, and my brother-in-law all try my green smoothies so they can see for themselves that it doesn't have a "green" taste. They all have green smoothies regularly now. Because I can't go over there and practically force you to try my smoothie (lol), you're going to have to trust me and just try it one time. ONE TIME isn't going to hurt you. Maybe you try it, you hate it, and you move on with your life. But maybe you try it, and you like it, and learn to love it and increase your vegetable servings per day. That would be a win! The one sitting in your kitchen right now will work just fine. (Well... this is assuming you have one! If you don't, a blender is a good investment for your kitchen!) Look at your blender's wattage. A high powered blender will blend quickly and well. (There will be no chunks after blending for 20 seconds or so). A blender with less power will not blend as quickly and may have trouble with fibrous fruits or vegetables. I had an unpleasant smoothie experience because my old blender couldn't blend kale stems very well. I think the trick to using a blender with less power is to use plenty of liquid and to put that in the blender first. The liquid will help the rest of your fruits/vegetables move. Also- use softer fruits and vegetables like bananas, spinach, and frozen fruits that you've allowed to thaw for a bit. Blenders with less power have a hard time blending frozen fruit. I learned that the hard way. I recently invested in the NutriBullet, which is a phenomenal and reasonably priced blender. It's not top of the line, but I don't need that right now. I'm super impressed with the Nutribullet and joke too often that I'd like to see what it would do if I stuck some nuts and bolts in there. ;) (I totally think that this would be the result. If you haven't seen the movie, he's trying to sell food storage containers). Like I said earlier, I read through this post on Simple Green Smoothies before I bought a blender, which influenced my decision. If you're the only one in your family who will even touch a green smoothie (my toddler actually likes green smoothies!) consider buying a compact blender. The cleanup time is significantly less. If you're new to green smoothies, try ingredients you recognize and fairly like first. Kale sounded gross to me at first. I stuck with spinach for a long time before trying kale. (Plus, my blender had a hard time with the kale stems, remember? ;) Don't put "healthy foods" you haven't tried in your smoothie at first. Chances are if you don't like them alone, you won't like them in your smoothie. This tropical, green smoothie, which includes: 1 cup of coconut milk; 1 c or more of spinach (or kale); 1 banana; 1/2 c of vanilla, Greek yogurt; 1/2 c of frozen pineapple, and 2 tbsp of shredded coconut. This is a recipe I use often. This orange, banana smoothie (I add spinach or kale and omit the strawberries): 1 c of orange juice; 1 c or more of spinach (or kale); 1 frozen banana; and 1/2 c of vanilla, Greek yogurt. I like this smoothie. You mostly taste the orange juice as orange juice tends to have a stronger taste. This simple, green smoothie: 1 c of soy milk (I've also used almond milk and coconut milk); 1 c of more of spinach (or kale); 1 frozen banana; and 1/2 c of vanilla, Greek yogurt. This is a tasty, simple green smoothie. Smoothies are delicious and nutritious, but it doesn't mean they don't have calories. They do! I don't have a green smoothie in addition to breakfast, for example. Green smoothies are my breakfast right now. If I want a green smoothie for lunch or dinner, I consider how many calories I want to eat at lunch or dinner and factor my smoothie into that equation. Seriously though- what do you think of green smoothies? 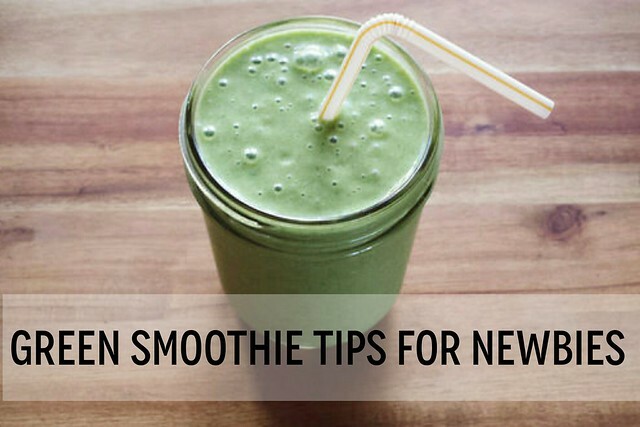 And if you already drink green smoothies on a regular basis, what recipe do you use? (Even if you use one of the recipes I use, I'd love to know!) Let me know in the comments.